I love the buzz before SXSW. The Stooges are booking a full spring reunion tour including a March 17th date at SXSW. They will first master their new album, recorded with Steve Albini at the helm. Mike Watt is on bass, and Brendan Benson even did some vocals on “Free and Freaky.” They’re also playing All Tomorrow’s Parties with Sonic Youth, Deerhoof, Dinosaur Jr, Sunburned Hand of the Man, Wolf Eyes, Melvins, Blood Stereo, Jackie-O Motherf*^%er and more. This is the December 8,9,10th installment of ATP. More Stooges details here. 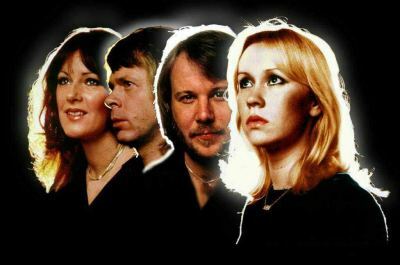 Beloved Swedes, Abba, are going to be honored with a museum in Stockholm. Set to open in 2008, the band will do little more than contribute items. So sad that these buggers won’t get back together. ‘Member that orchestral White Stripes limited cd I spoke of earlier? It’s being used as material for a dance company in London and the Stripes themselves are looking to make an appearance at the last show. Here are a few mp3s. Nelly Furtado has announced tour dates for some of the US and her native Canada. She’s hoping some guests will come along, namely Chris Martin or Justin Timberlake or Timbaland. There’s a presale on her site for you lovely Canucks. Hope everyone had a good holiday. Busy momma and 4AD darling, Kristin Hersh will be releasing another solo album in the new year entitled Learn to Sing Like a Star (full track listing here). It will be her first solo album in 4 years. But don’t let that fool you, in that time she’s been busy with 4 boys, 50 Foot Wave, and still playing gigs with her stepsister Tanya Donnelly in Throwing Muses. She will also be featured in the upcoming documentary Rock’n Roll Mamas. Watch the trailer and buy a cd, where all proceeds go to the film, here. My newest obsession is, not the leaked Grinderman, but Dana Falconberry. 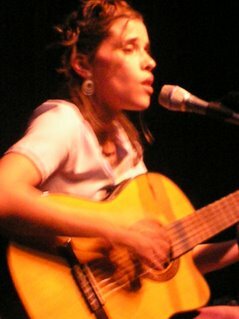 She opened for Peter & the Wolf and then lent harmony and backing vocals during much of his set. She can span the spectrum between gritty and almost bluesy to quiet and innocent. Be her friend. I predict, if he shares, Gorilla Vs Bear will have some great photos. Sorry, I’m going to upgrade my digital someday. While you’re out picking up the Sufjan Xmas cd, pick up the new double cd of Mirah songs that have been retooled by all of her K friends. With all of the talent lending their paws, I’m super excited for the result. Totally in love with all that helped remix including Anna Oxygen and Emily Kingan of The Haggard. Super cool fact: Mirah was on Double Dare as a kid. I’m so jealous. If you live in Portland you can go to the record release party where Mirah and her friends will be djing and video djing. It’s November 26 at the North Star Ballroom.